In the midst of grey, bleak days of winter it’s lovely to get a splash of colour in the garden. We’ve had a number of cold, grey days so far this winter. Ok, I won’t complain about the rain because we’re still on water restrictions here & our dams will take years to fill up again …. but that doesn’t mean I can’t whinge about the cold, lol. How lovely though to go outside and have these frilly camelias smiling back at you. …..well they were actually from my aunt’s garden. They look so bright & happy – just what is needed to brighten up the day. In our backyard we also found a surprise splash of colour. Here they are sitting in an unglamorous pot amongst a few gardening tools – beautiful bright pink cyclamen. …. just right to chase the gloom away. The sun also came out long enough to snap these photos – what a difference it makes. 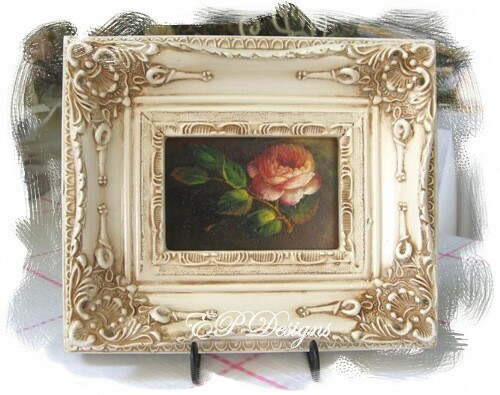 CC is also haveing a giveaway on her blog so do pop in & enter. 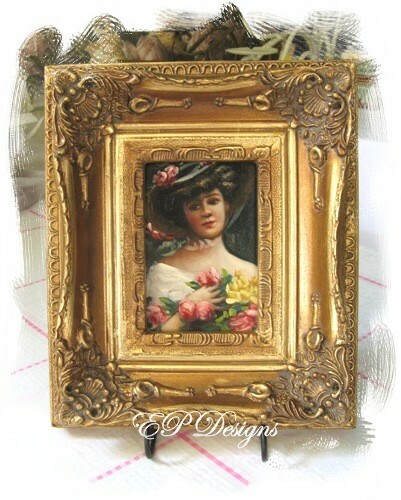 This week my pink Saturday has a touch of classic vintage charm. 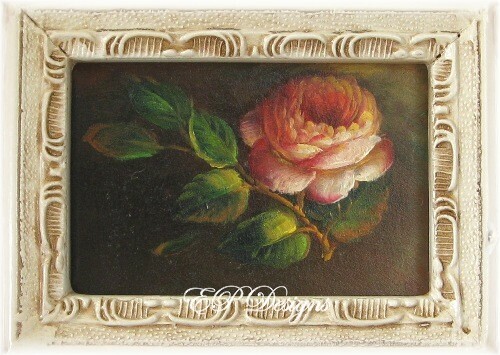 These are small oil paintings framed in the most gorgeous ornate frames. They are not my creations but they will be available in my store soon. …. 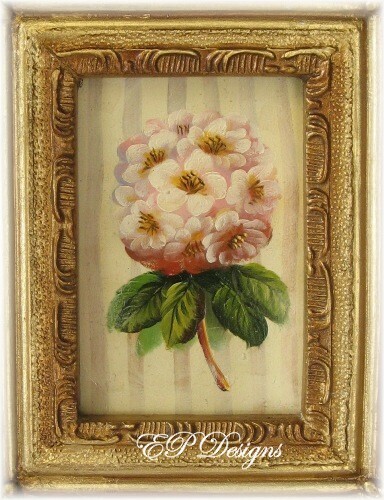 a small delightful painting full of charm. 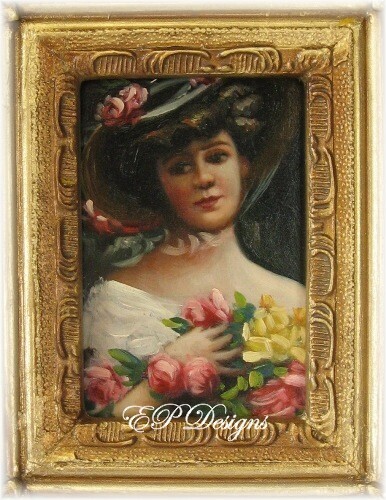 The next painting is just as delightful – portrait of a lady holding roses in her arms…. 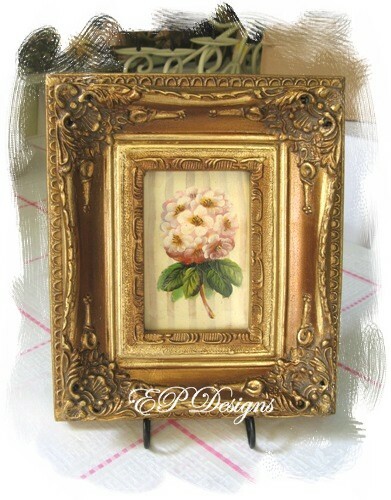 The rich gold frames are replicas of actual Victorian designs. …. and lastly, a sweet, single bloom. My favourite painting is the first one but they’re all equally beautiful. There are many wonderful entries for Pink Saturday which is hosted by Beverly at How Sweet The Sound. Take time to visit participants’ blogs and see how Pink everyone’s Saturdays can be.